The Girlfriend Request by Jodie Andrefski. Today, it is my privilege to host the cover reveal of debut author, Jodie Andrefski’s book, The Girlfriend Request. Eli can’t figure out what Emma is up to. He’s pretty sure she’s the one behind the Facebook profile, but then again, why would she do something so drastic instead of just admitting she wants to be more than friends? And who the heck is this new guy he saw her with? Eli starts to think that just maybe… he missed his chance with the girl next door. Two best friends, one outlandish ruse. Their status is about to become way more than It’s Complicated. I hope you love reading THE GIRLFRIEND REQUEST when it releases, just as much as I loved writing it. 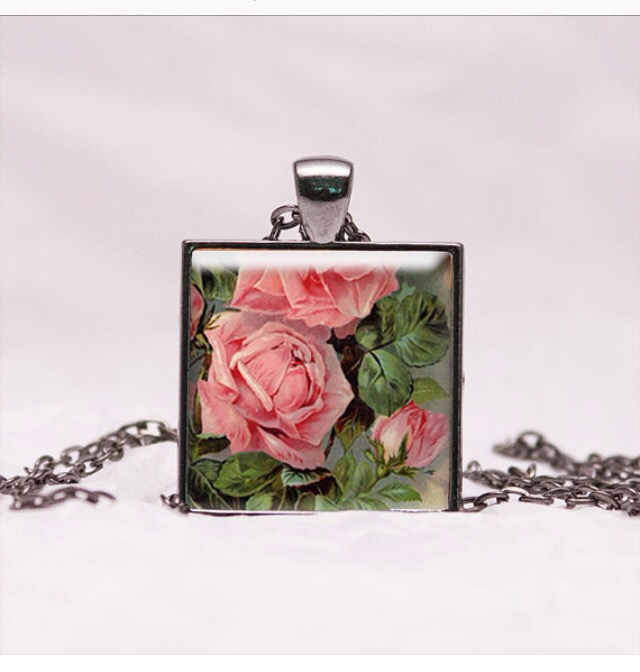 To celebrate, Jodie is offering a chance to win a $20 Amazon e-Gift Card, as well as this beautiful handcrafted necklace with a vintage rose, glass pendant. The winner will be selected randomly from all entries, and will be announced Thursday, November 26th. To enter, click here: Rafflecopter. Remember, you can RT daily for more chances to win!! Posted by bookishblurb on November 21, 2015 in Buzz.